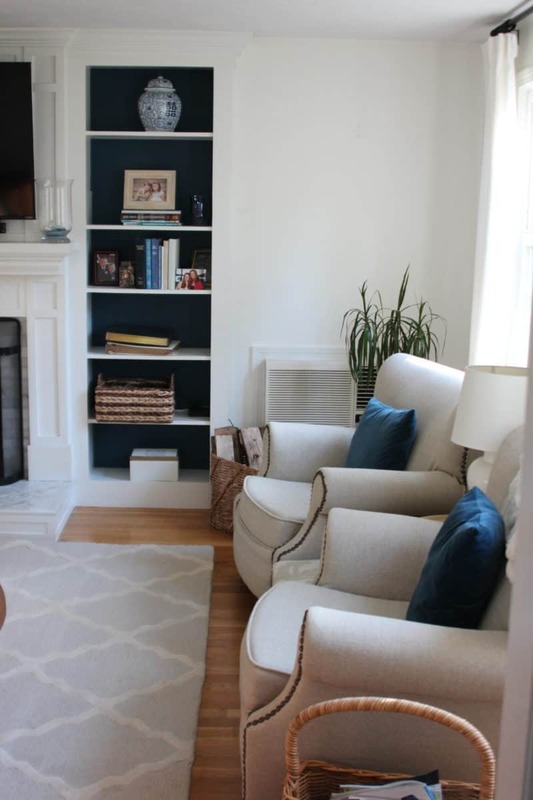 One Room Challenge | Coastal Chic Family Room | Week One! Hello and welcome to the crazy!! Today I’m joining hundreds of other bloggers as a link participant in the bi-annual One Room Challenge and I’m so happy you’re here! 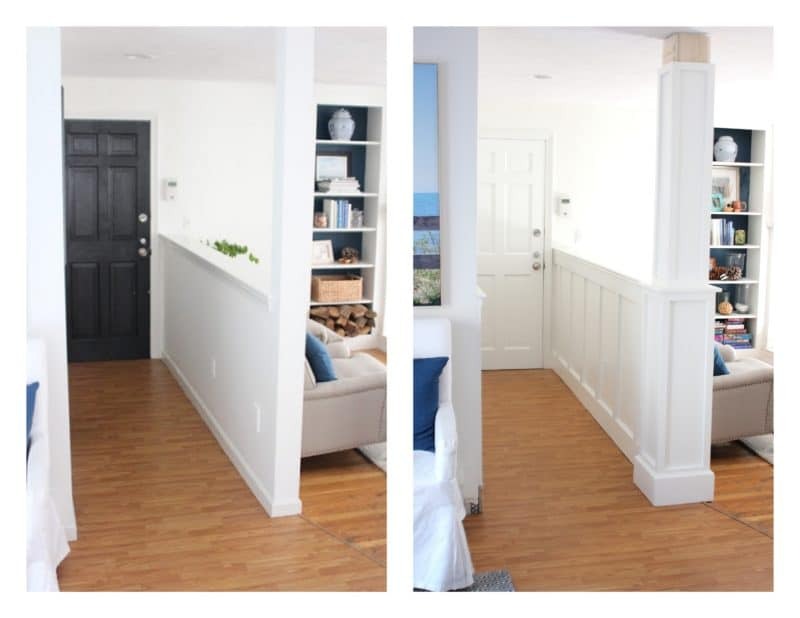 In the fall I added moulding to a half wall and pillar that separates the family room from the bathroom and entrance from the garage (it’s still not 100% done as you can see but I’ll post about that project soon.) Here is the before and so-far. Now that this space is almost finished up I’m dying to get the family room pulled together. It’s the first room you see when you walk in the door from the garage and the room we use the most. After renovating the fireplace a few years ago, I tried to make the rest of the room a little more cohesive, but truth be told it has always been a room of misfit furniture from our other houses. 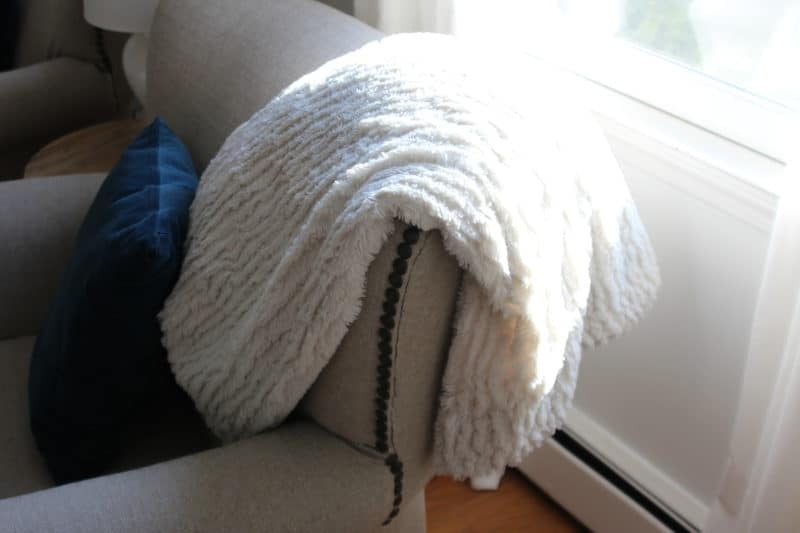 The DIY reupholstering of two club chairs, a new rug, curtains borrowed from another room and some styling of our built ins bought us a little more time, but when you have to strategically place baskets and drape throw blankets around the room to disguise the shabbiness, it might be time to pull the trigger on a room makeover! but upon closer inspection you’ll see a few harrowing issues, starting with….. This part looked great at first but eventually came undone. After a few frustrating attempts to take the back of this chair off and fix the seams, I just went right after it with the staple gun. It’s a good look don’t you think?! 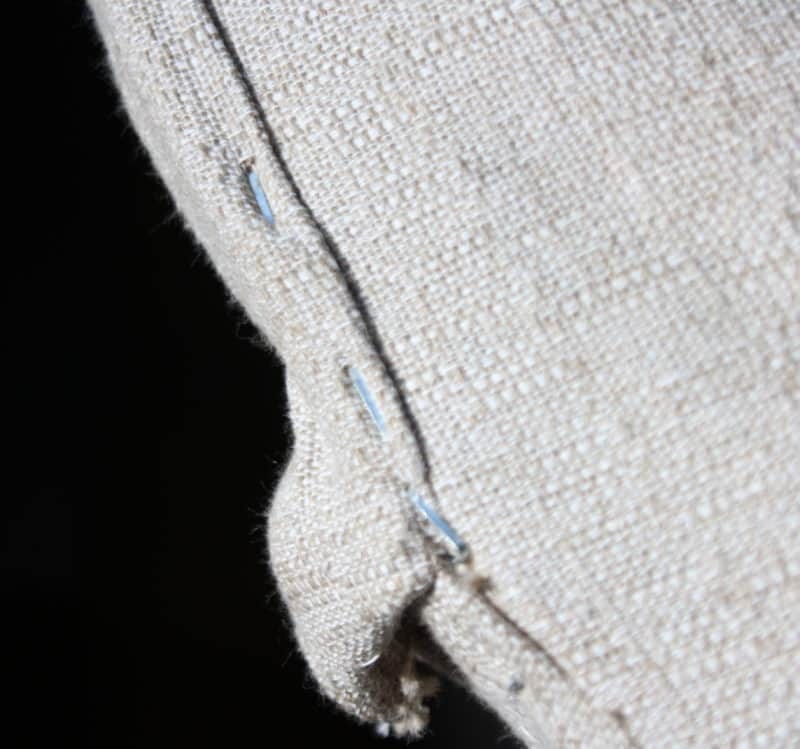 I have spent many, many hours of my life trying to fix my poor reupholstering only to accept the fact that upholstering is not one of my finer skills! It’s all smoke and mirrors over here people! 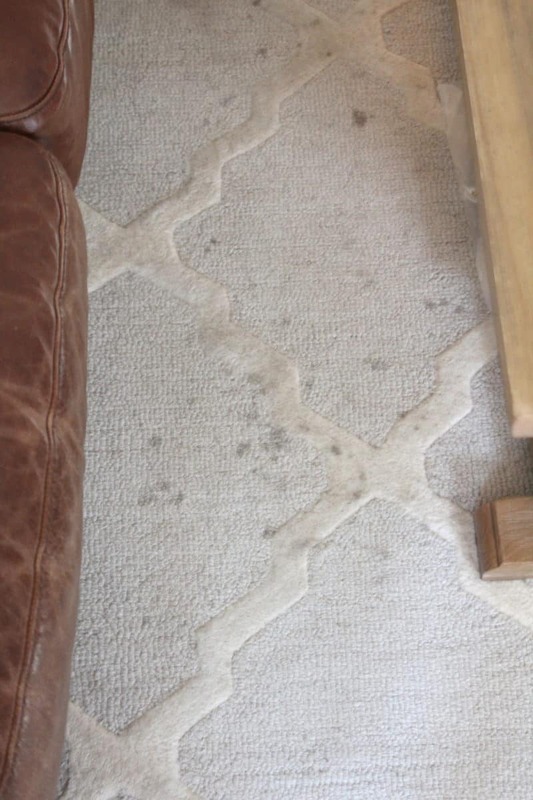 Let’s talk about the state of the rug, and how many times I have taken pictures of this area between the couch and the coffee table and texted my entire family about how disgusting they all are and how I’m not their maid and how no one is ever allowed to eat in the family room again. Or let’s not. Maybe a cream colored carpet is not a good choice for the Scibilias? 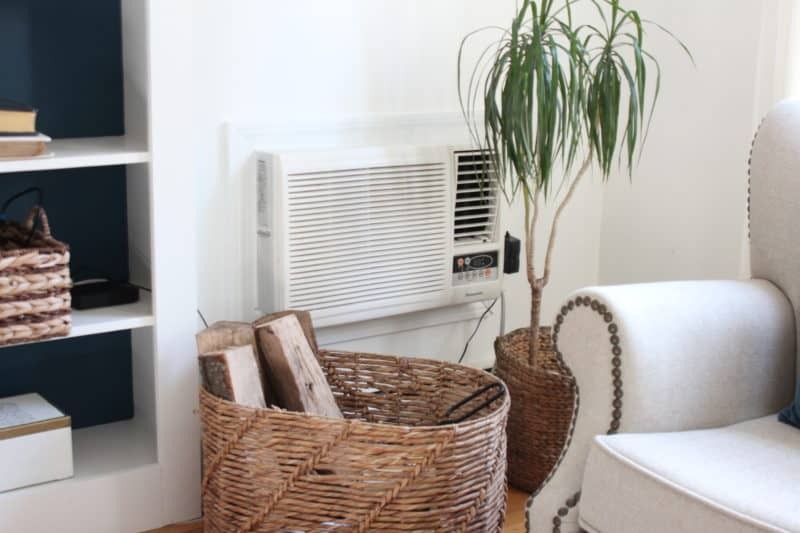 What about that sweet AC unit, so cleverly disguised with a dying plant and a basket? Pretty. Did I mention our second floor has central AC? This house is nuts. 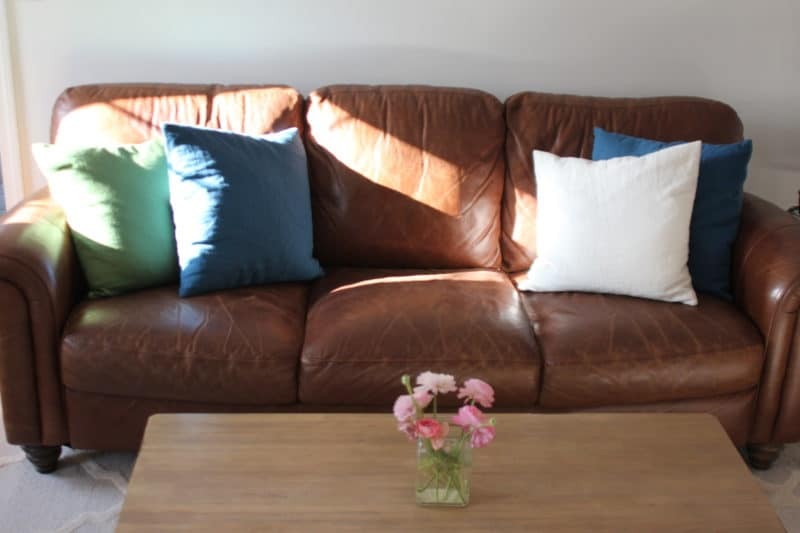 The brown leather couch is part of a set we bought from Domain 13 years ago, and it has served us well with three growing kids and our dear old sweet slobbery Saint Bernard who is no longer with us. Seriously there is nothing like leather for resiliency with kids and pets! 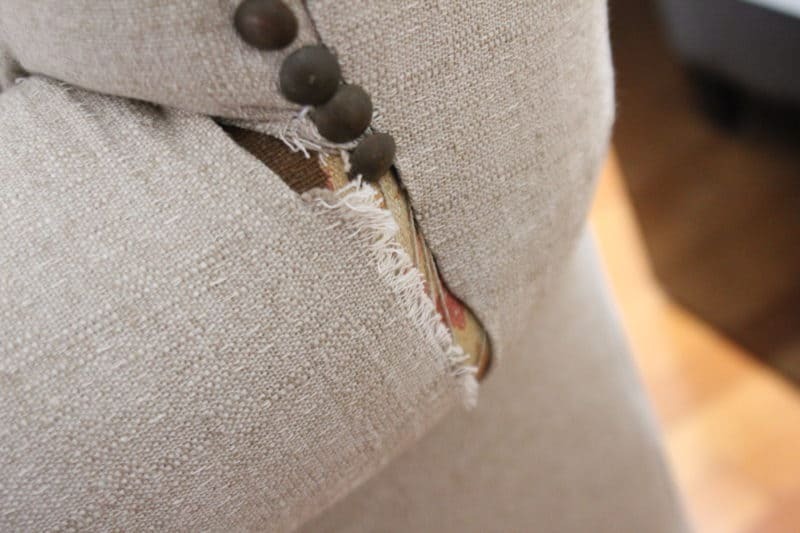 BUT…..
it’s hard to tell from these photos but the center cushion dips down because as it turns out the frame of the couch is SPLIT IN TWO (a discovery also group texted to all the members of this family about how we can’t have nice things). I reinforced the frame on the bottom of the couch but unfortunately this created a VERY SQUEAKY couch situation AND the center cushion still dips down and you feel like you’re falling into a sink hole. So yeah. This baby will be retiring to the basement! 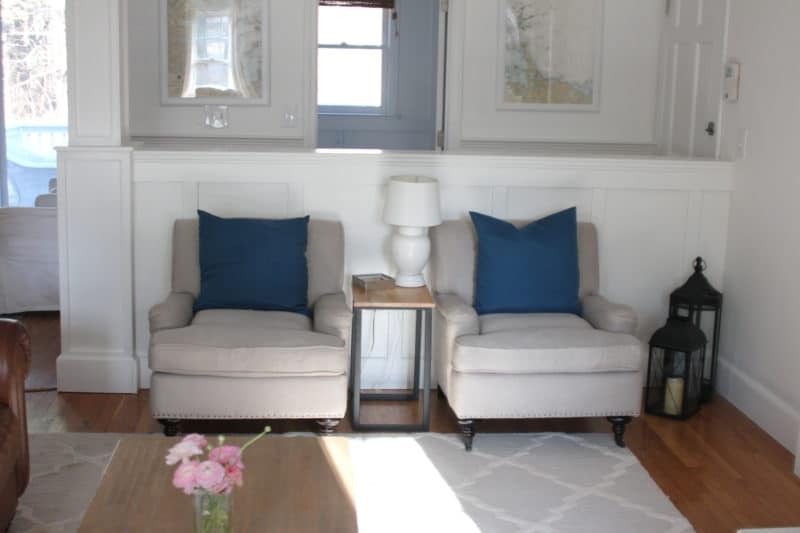 and possibly these two chairs that are small, comfortable and fit so well on the half wall. 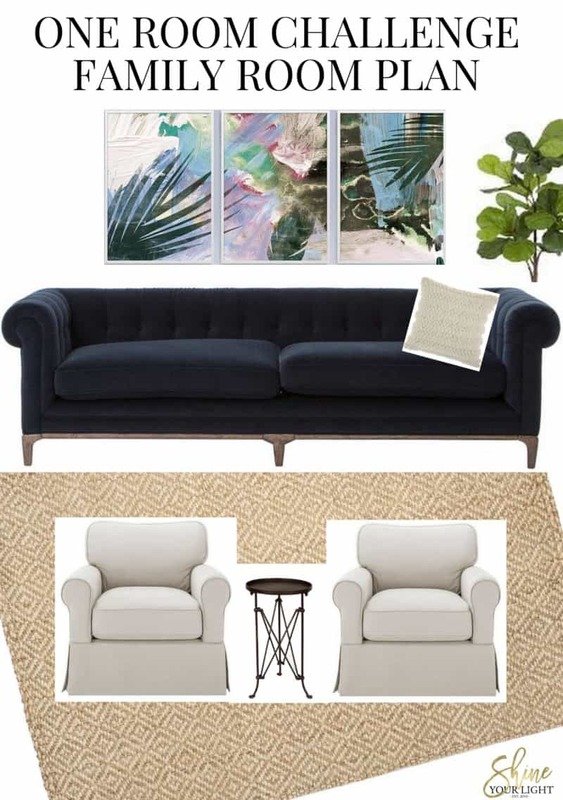 the sofa of my dreams, navy blue velvet, but with a coastal vibe! And some fun, interesting art for those white walls! What do you think – am I nuts? That sofa with those chairs with that art? Mark is giving me the side eyes but it’s time to shake things up around here! I am beyond thrilled to be partnering with Raymour & Flanigan on this project. 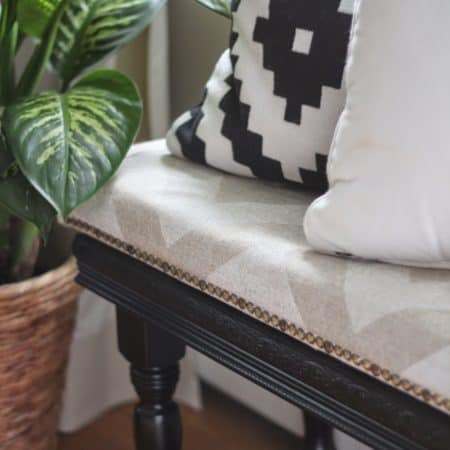 I was so impressed with this company when I worked with them on the Bloggers Heart Habitat houses (August 2017 and January 2018) – this family owned company has such a big heart and supports so many community endeavors and I am honored to work with them on this room makeover. 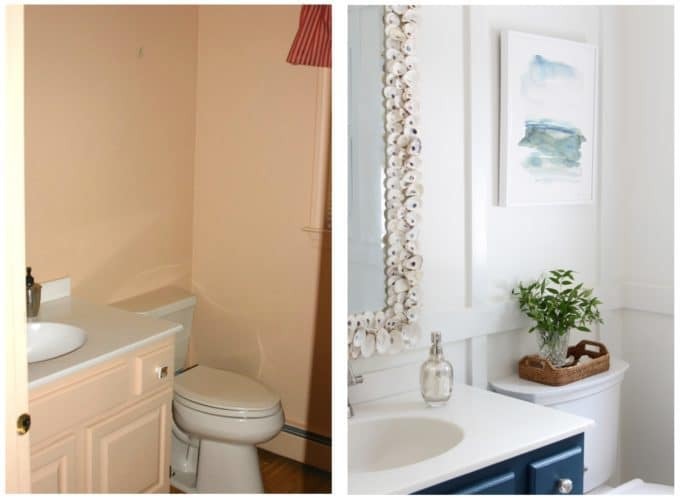 Many thanks to Linda at Calling It Home for creating and organizing the One Room Challenge with media partner House Beautiful! 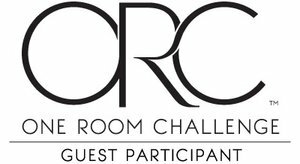 Check out more room challenges that kick off today on the new ORC website! 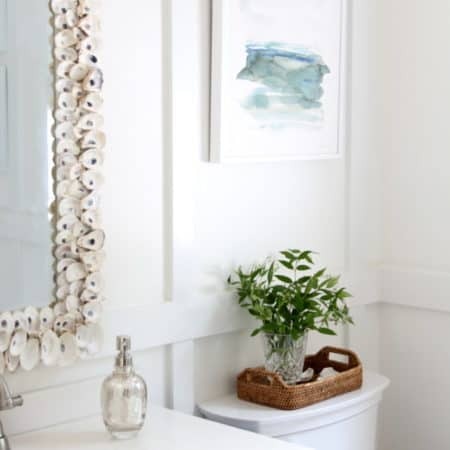 For those of you who are taking on a room for the One Room Challenge this round, best wishes and let me know so I can follow along! I’ll be back next week with an update on the family room! Well again your vision is amazing!! I am so excited to follow along with you and live vicariously through your projects!!! I love your style and you are a DIY wizard. Oh you are the sweetest, thank you for your kind words Jessica! I’m wishing for some DIY wizardry when it comes time to hang crown, that always challenges me big time no matter how many times I’ve done it before! Life with a family definitely requires updates every now and then -I feel you on the wear and tear. Love your new sofa and can’t wait to see your progress. Dannyelle I hope we might be over the “breaking of a couch” phase of parenthood, how does that even happen? 🙂 Thank you so much for stopping by and I’m looking forward to seeing your ORC project! Oh, I love the couch and art, Lisa! I don’t think you’re crazy at all. I hate when things around my house nag at me, especially when I know just a bit of effort and maybe some money will transform it completely. I can’t wait to see it all come together for you! Thank you for that vote of confidence Iris! I’ve been biding my time to give this room some love for a long time and can’t wait to pull it together! I think it’s gonna look fantastic. Love the navy blue velvet sofa (a no go in our house with a Golden 😉 I know you will pull it all together in the end. A golden instead of a navy velvet couch is a pretty great trade off! Thanks for your encouragement Lauren. Fingers crossed it all comes together! Oh my!!!! That sofa!!!! So pretty!!! I know Jewel, I love it! It might be the fanciest thing I’ve owned ever! That couch is absolutely gorgeous!! Your room is going to be amazing! Thank you so much Emy! I appreciate your vote of confidence!! Lisa, I am loving your plan…and that sofa!!! Gorgeous! Best of luck to you over the next crazy 6 weeks! Thank you so much Shelley! It’s coming together little by little…….I’m excited to get this room done and can’t wait to see more of your navy dining room! Susie I’m so glad to be doing another round of the ORC with you! You’re so supportive and your comments brighten my day! Oh Lisa, this room is going to come out so fabulous! 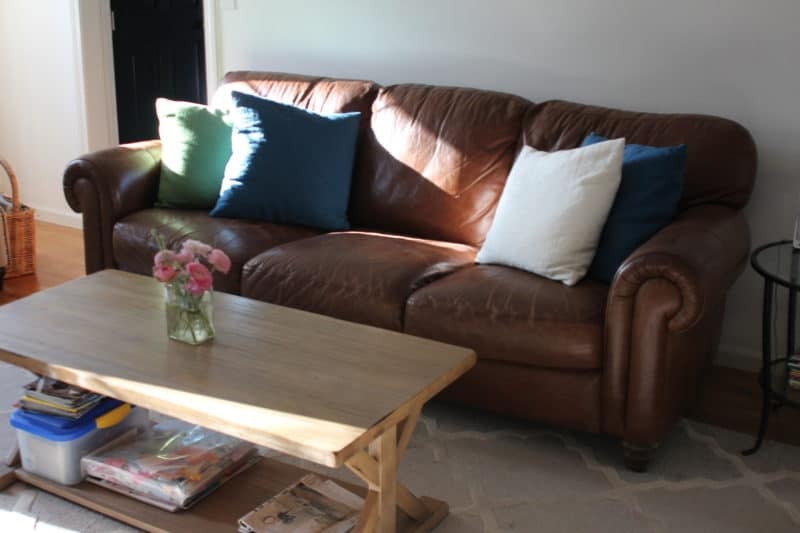 Love our choices especially that gorgeous R&F sofa! Bet it’s super soft! By the way, thanks for keeping it real…cream rug and DIY upholstered chairs. I don’t think upholstering furniture is something I’d ever be good at…terrible that I never tried? Ha. Good luck and I can’t wait to follow along! Tee I am once and done with the reupholstering of something major like a club chair!! Dining chair seats I can handle! Thanks for stopping by, I’m looking forward to seeing more of your room this week! I love this post, Lisa – especially the comments about the group texts to the kids, ha ha – what mom hasn’t done that???? My mom didn’t have a cell phone to text us back when we were kids….but she did keep notes on a yellow legal pad and start in with us as soon as we got home!! Looking forward to seeing your progress on this room! I love the sofa + art! This mix is good. 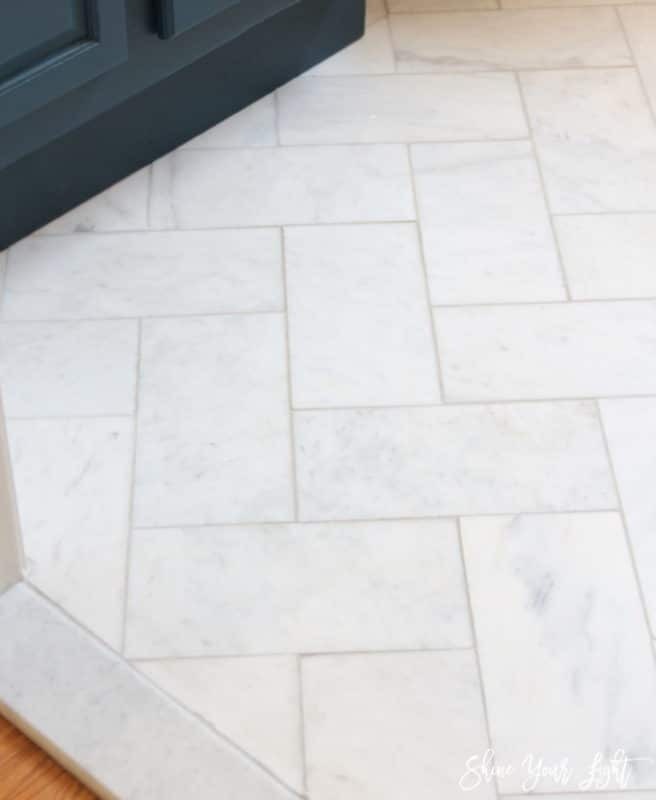 “Coastal” is too pale and bland for my taste, while navy velvet is usually paired with heavier moody sorts of rooms. I feel like if you get the balance of these elements right, it is going to be a room that just sings! I hope so Julie! I do love that art and think it would look fantastic on white walls! ok…that sofa and those art prints…are you kidding me?!! This is going to be so beautiful, Lisa! I can’t wait to see it all spruced up and better suited for your needs! Thanks so much Rachael! I can’t wait to see your space come together too, it’s going to be the cutest nursery ever!! Excited to follow this makeover, Lisa! 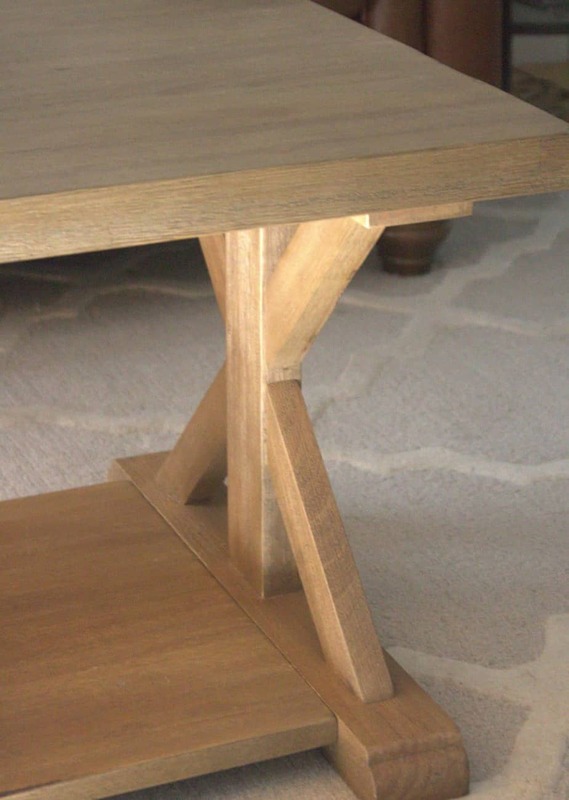 Love the design plan and can’t wait to see the millwork really transform the space! Carol the millwork is the part I think I am most excited about! I’ve been designing it in my head since the day we moved here! So excited to follow along with you during the ORC Lisa! I love your plan! That couch is all the things! Thank you for your support Denise! 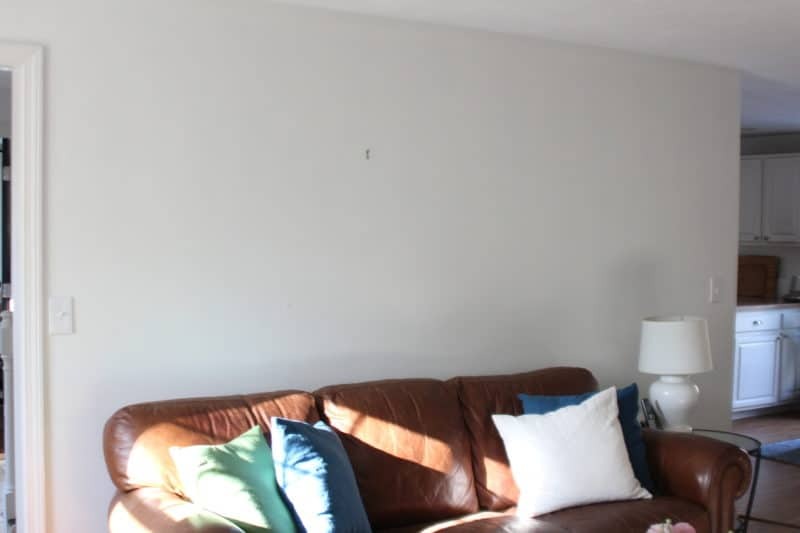 I cannot wait for the couch to arrive! Lisa your plans look so beautiful! I’m in love with that couch and artwork! It’s going to be so good! Dara thank you so much! Sadly that piece of art is not going to work after all but there are so many gorgeous pieces on Etsy…..I’m sure I’ll find something else I adore! I love your plan! Can’t wait to follow along! Thanks Kate! It’s been a long time coming and I can’t wait to make some changes to this space! It’s going to be beautiful ! I can’t wait to follow your progress! Thank you so much, it’s long overdue for this room and I’m excited to change it all up! 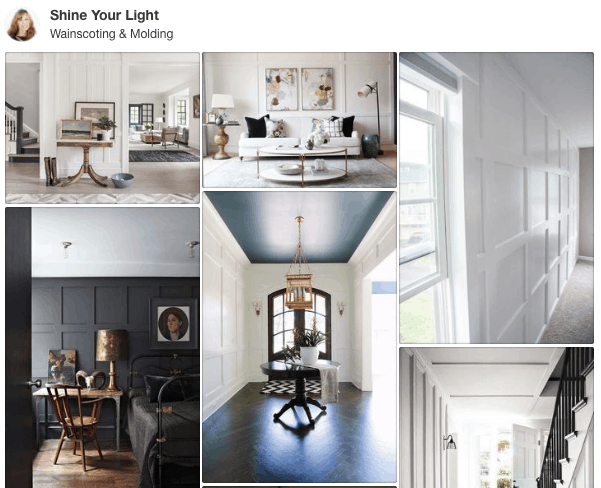 Your inspiration images have me swooning! Gorgeous! It’s fun to dream isn’t it? Now to execute the plan! Good luck with this next week! OH my heavens!! That couch is STUNNING!!! I am drooling over here. What a gorgeous room this is going to be!! Leslie thank you! I hope that couch lives up to my expectations for it, you know, seeing as I planned the whole room around it! 🙂 Good luck this week!